A suspect crossed the line with a Wawa employee and was punched during an attempted robbery in Center City Philadelphia. The whole incident was caught on video. The surveillance tape of the incident was released by police on Thursday at they continue to search for the thief, 6ABC Action News reported. The attempted robbery occurred at about 5:30 a.m. on Oct. 13 at the Wawa store. The video shows the suspect walking in to the store wearing sunglasses, gardening gloves and a green towel wrapped around his head. He goes over to the counter and tells the worker to “give me everything in the register and no one gets hurt,” tugging at his waistband making it seem like he was carrying a weapon. “Show me the gun,” the employee said to the suspect. The employee then warns the other workers that they were being robbed. CBS Philadelphia reported the suspect approached the employee and pulled out a thin piece of metal with a curved handle. 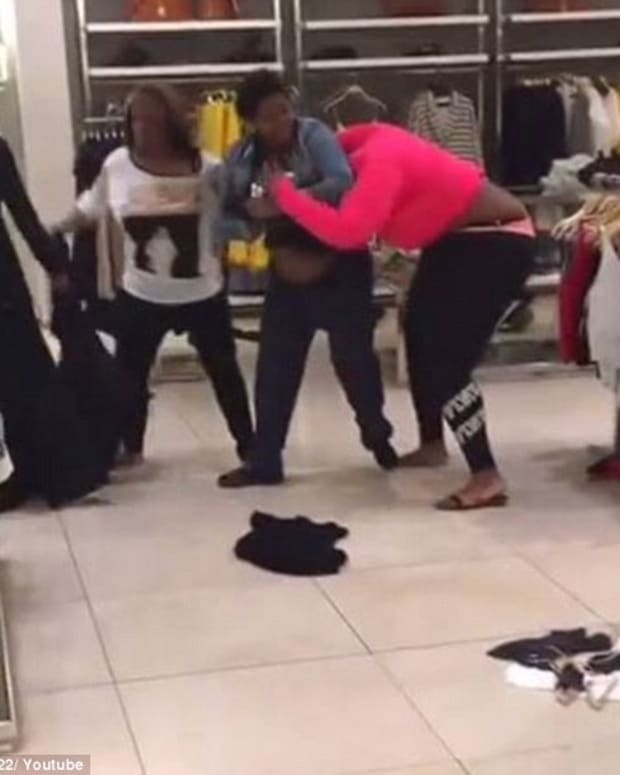 The employee is seen punching the suspect in the jaw, which made him fall to the ground. 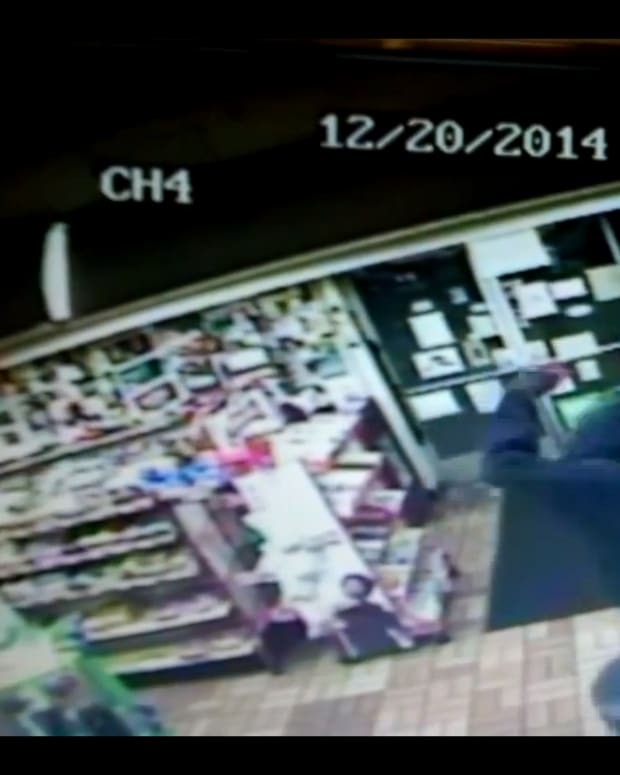 The employee continued to wallop the robber until coworkers pulled him off the man. The suspect ran out of the store without taking any money, and speeds off in a dark blue or green BMW X5 with a missing license plate. According to 6ABC, the suspect is a white male, age 40 to 50 years old with a height of 6-foot-1-inch to 6-foot-3-inches and weighing 280 to 300 pounds. He has short brown hair, a mustache and was wearing a light blue flannel shirt and blue jeans.